Splitting the parallel fiber optic links to "ordinary" full-duplex connection may require certain skills and experienced personal. 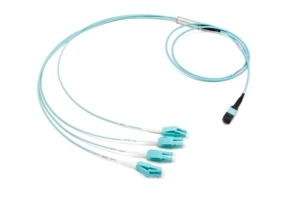 With factory pre-terminated, ready-to-go MTP QSFP to LCD SFP fanout you can build the required optical interconnections within few moments. 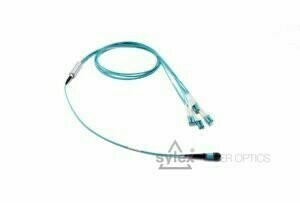 Splitting the parallel fiber optic links to "ordinary" full-duplex connection may require certain skills and experienced personal. 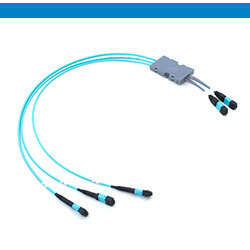 With factory pre-terminated, ready-to-go MTP QSFP to LCD SFP compact fanout you can build the required optical interconnections within few moments, reducing the cable bulk to 50% of the ordinary solutions. 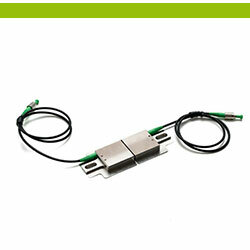 Ruggedized version of factory pre-terminated, ready-to-go MTP QSFP to LCD SFP fanout for rapid and handy splitting of parallel fiber optic links to the "ordinary" full-duplex SFP modules. 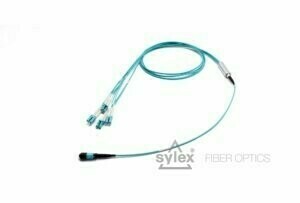 Double jacket cable offers protected cable with additional layer of kevlar.